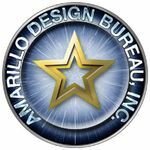 Amarillo Design Bureau is a company which specializes in tactical and strategic board wargames. The company is a successor to Task Force Games, and is owned and operated by Steve and Leanna Cole, with partner Steve Petrick, and based in Amarillo, Texas. The company created and developed the series of games set in the Star Trek-based Star Fleet Universe, under license from Paramount Pictures, which includes the tactical combat games Star Fleet Battles and Federation Commander, the strategic-level game Federation & Empire, the card-based tactical game Star Fleet Battle Force and the role-playing game Prime Directive. They also produce a large series of miniatures under the Starline 2400 and Starline 2500 label, as well as the biannual Captain's Log magazine. Games developed by Amarillo Design Bureau have influenced other game designers such as Taldren, Inc. and they have been used in the development of some video games. Source: Wikipedia, "Amarillo Design Bureau", available under the CC-BY-SA License.